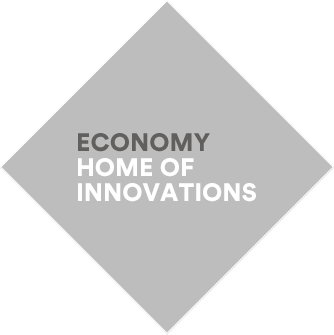 Why invest in the canton of Vaud? The canton of Vaud is the main center for research and innovation in Switzerland and is one of the wealthiest regions in the world. Science and industry work hand in hand thanks to the presence of globally renowned universities and research centers. The largest French-speaking region of Switzerland is located at the heart of Europe, in a particularly safe and secure environment at the foot of the Alps and on the shores of Lake Geneva. As well as breath-taking landscapes, it offers a multitude of sporting and family activities and a quality of life recognized – and envied! – the world over. Industry in Vaud is based on expertise handed down over many generations, which has seen plenty of prime examples of firms earning a reputation for "Swiss Made" quality through the years. 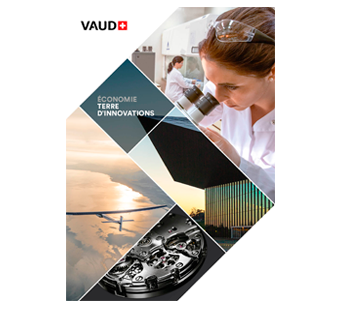 The canton of Vaud is a leading European hub in terms of technology and innovation, most notably in research and development. A dense network of schools and universities of global renown have placed the canton of Vaud at the forefront of education and research. Since establishing itself in Aigle in 2008, APCO Technologies has enjoyed significant growth in the space, energy and heavy industry sectors. The family-run business has gone from strength to strength, and now works with the Swiss Space Center and on the European Ariane 6 rocket. A biopharmaceutical company which develops and markets solutions in the sectors of reproductive and maternal health, urology, gastroenterology, and endocrinology. It was originally founded in Sweden and set up business in the Vaud municipality of Saint-Prex in 2006. MindMaze is a spin-off from the EPFL which has revolutionized neurological treatment. The start-up’s neurological retraining system is behind its rise to prominence in the unicorn category, i.e., new companies worth over a billion dollars. The award-winning Vaud FinTech has joined forces with the School of Engineering and Management (HEIG-VD) of the University of Applied Sciences and Arts, Western Switzerland (HES-SO) on a project that will further improve NetGuardians’ machine learning and artificial-intelligence software for financial fraud detection and prevention. Economic Development Canton of Vaud and Greater Geneva Bern area will be attending the largest event for unmanned systems and robotics: AUVSI XPONENTIAL 2019. Taking place April 29-May 2 in Chicago, we would like to invite you to meet with us at the Booth #2704 and to attend our panel session on Authorizing BVLOS Operations at Scale: Lessons Learned from Switzerland (April 29, 1:30 PM - 2:30 PM, Room S402a). Contact us and let's meet in Chicago! Attend the upcoming PERL Awards ceremony and find out about the 2018 recipients that have made an impact within the Lausanne area. At the next Biopôle lunchtime workshop, discover and get precious learnings from four companies hosted on the campus: Med Discovery, Cara, GetSet Surgical and Glenmark Biotherapeutics SA.